So you want people to follow you on social media? The good news is that there are plenty of such platforms out there, from Twitter to Instagram to LinkedIn. Individuals who follow you on social networking platforms make quite a difference as with every single follower being added to the list; your morale gets a boost. Each time someone follows me on social media, a thought runs through my mind. Should I also follow this person? Scrolling the user profile of a new follower is the habit of almost every individual. Same apply to me as well. Out of 10 new followers, chances are there, that I’ll follow 3 of them back. The remaining 7 are left unfollowed immediately or after some time. 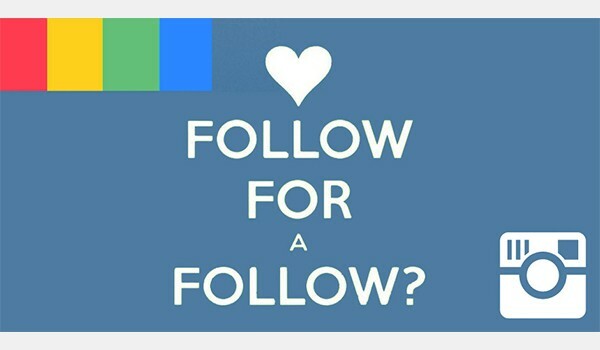 I’m sure many of you can relate your story with mine and must be curious to find out why are we hesitant in following back our followers? Sticking with the scope of this article, people expect to be followed back as this strategy can earn a good deal of followers. But often, it doesn’t work out that way. If you’re following someone back, then you’re probably returning the favor which has been incurred on you. Apparently, this will not hold true for someone you know in person or a famous name e.g. a film or sports celebrity, politician, etc. Why are people reluctant to follow back? So next time if someone follows you then do find a logical reason that why you’re not following back. What other reasons you have on this? Share your tips in the comments below.